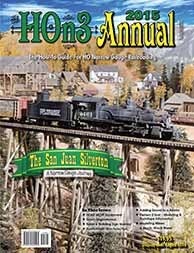 MARCH/APRIL 2019: A 15-inch gauge battery mine locomotive hauls a train of tipper cars winding its way through a narrow canyon in the Black Hills, on Larry Gant’s unusual Gn15 layout. While most Gn15 layouts are built as mini-layouts, Larry decided to devote a whole room in his house to his half-inch scale, 15 inch gauge railroad. But if Gn15 is not to your taste, you can enjoy Brook Stover’s description of his S scale Buffalo Creek & Gauley Dundon Shops. 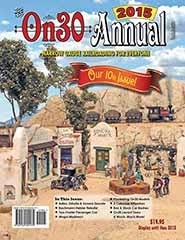 Tony Hannold tells about the On30 layout he built in his retirement community. We complete our three-part photo tour of three Sn3 RGS layouts by traveling from Dolores to West Durango on Dale Kreutzer’s layout. 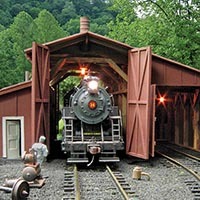 All this and more in the March/April 2019 issue of Narrow Gauge & Short Line Gazette! 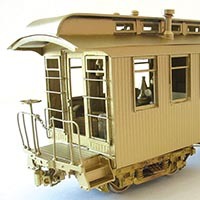 After purchasing a set of exquisite custom-made castings some years ago, I finally decided the time had come to build Colorado & Southern Business Car B-3. 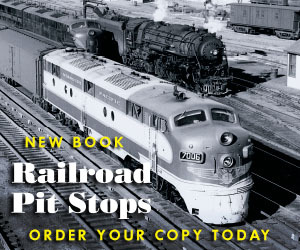 It was in Dundon that the standard gauge Buffalo Creek & Gauley Railroad had what employees called the “Dundon Shops” where equipment was maintained and repaired. 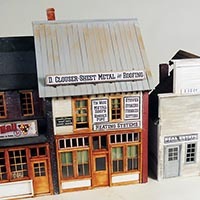 Stoney Creek Designs sells three O scale kits in their 2018 Main Street Merchants series. The kits include a Meat Market and Real Estate Office, a Tin Shop and Pool Hall, and a little Book Store. 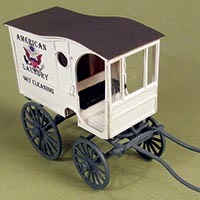 Berkshire Valley’s O scale American Laundry Wagon is their ﬁfth wagon kit. The instructions were clear, and I found the photos and drawings made this an easy, but delicate, kit to assemble. I always wanted to add a 15-inch gauge park railway to my hotel scene. Some of those hotel guests may have needed just one more thing to do. Narrow Gauge and Short Line Gazette, ©2018-2019 White River Productions. All rights reserved. 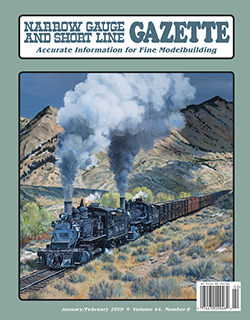 The Narrow Gauge & Short Line Gazette is your primary source for accurate information for fine modelbuilding.